Four Nikon cameras (S100, P300, AW100 and D5100) and one microscope received the iF design award this year. I am surprised that the Nikon 1 did not receive an award (maybe it announced too late? no pun intended). 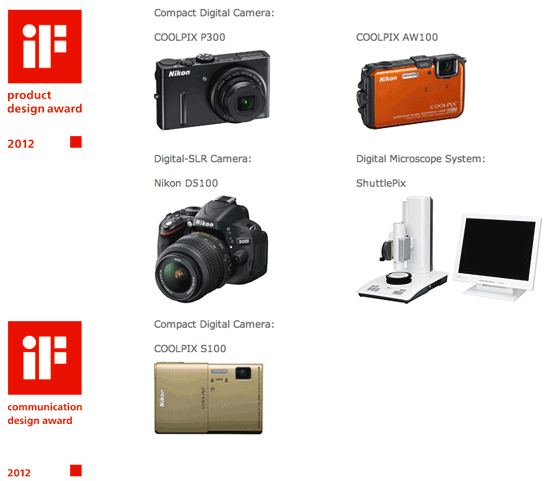 Nikon Corporation is pleased to announce that its 3 digital cameras and 1 Digital Microscope System have been awarded the "iF design award 2012: iF product design award" and its 1 digital camera has been awarded "iF design award 2012: iF communication design award". The iF design award is globally prestigious award sponsored by International Forum Design GmbH of Hanover Germany. The "iF design award" has been sponsored by International Forum Design GmbH of Hanover Germany since 1953. Each year, recipients of these prestigious awards are selected from worldwide industrial products exhibiting superior design. The awards include the product design award, communication design award and packaging award, etc. 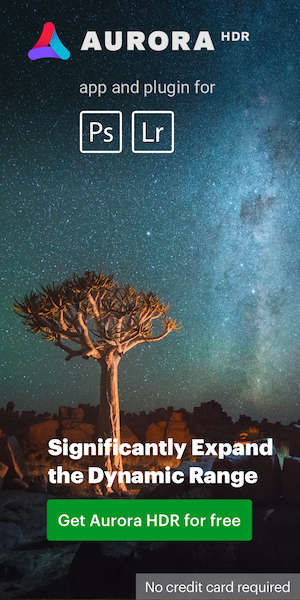 This year, 4,322 products from 48 countries were evaluated and the awards are presented to 1,218 products. In selecting recipients, product aspects including quality of design, functionality, degree of innovation, simplicity of operation and environmental impact are considered for the product design award, while usability, look and feel, and uniqueness are accounted for the communication design award. This entry was posted in Nikon D5100, Nikon Point and Shoot. Bookmark the permalink. Trackbacks are closed, but you can post a comment.